As a concept, there’s not much simpler than the KTM Duke family. Take a thumping single-cylinder engine (apart from the 790, but we’ll get to that), wrap it in a light, honed frame, add some wide bars and let the fun begin. 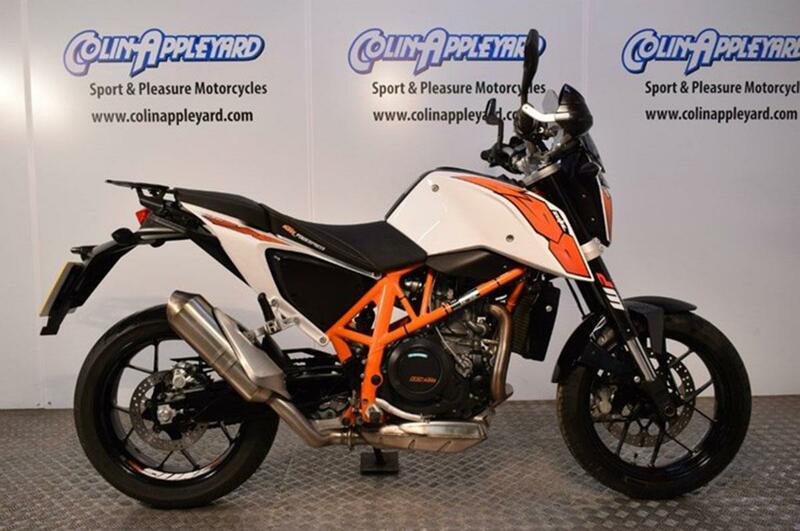 There is a KTM Duke to suit every level of experience and licence provision, starting with the 125 and moving through the 390, 690 and finally the latest 790. 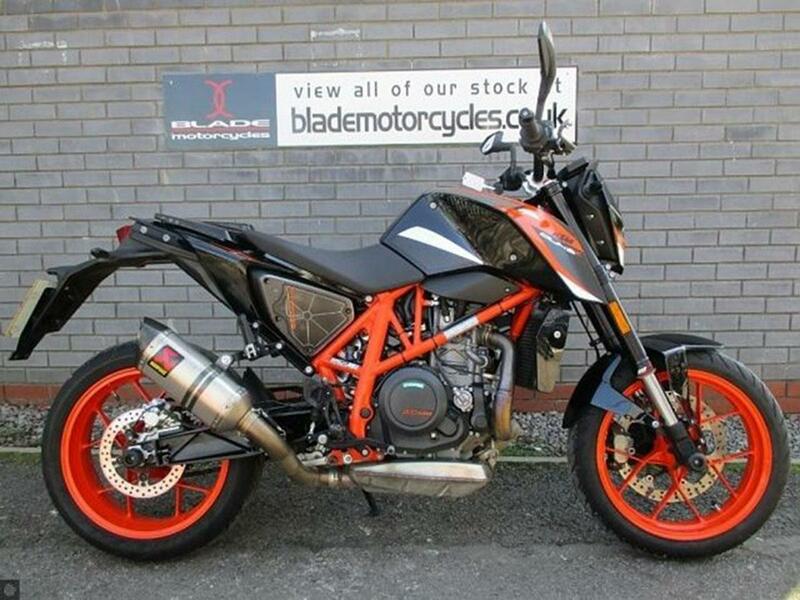 The fun doesn’t even have to stop there if you don’t want it to, just move up a weight division to a KTM Super Duke. 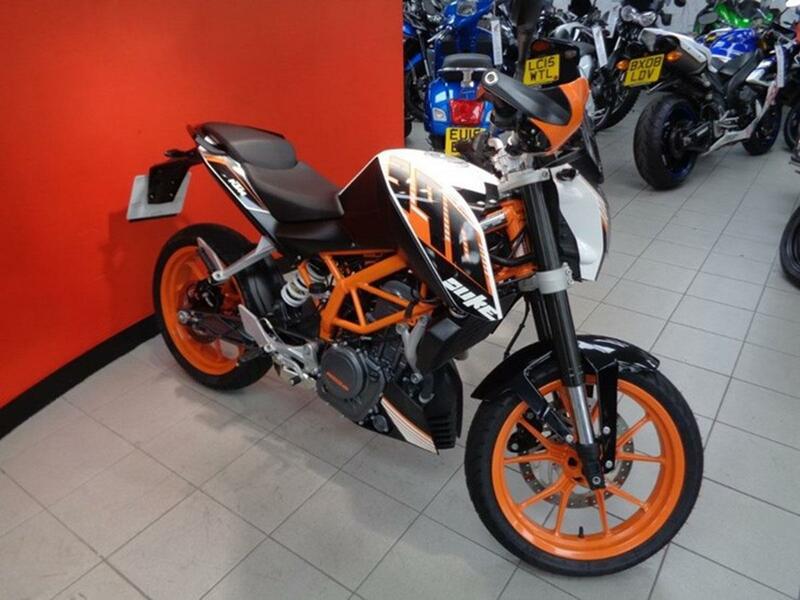 The baby of the family, and the starting point for most riders, is the KTM 125 Duke. Despite being a small, learner-friendly motorbike, the Duke is great fun and has a solid, big-bike feel. 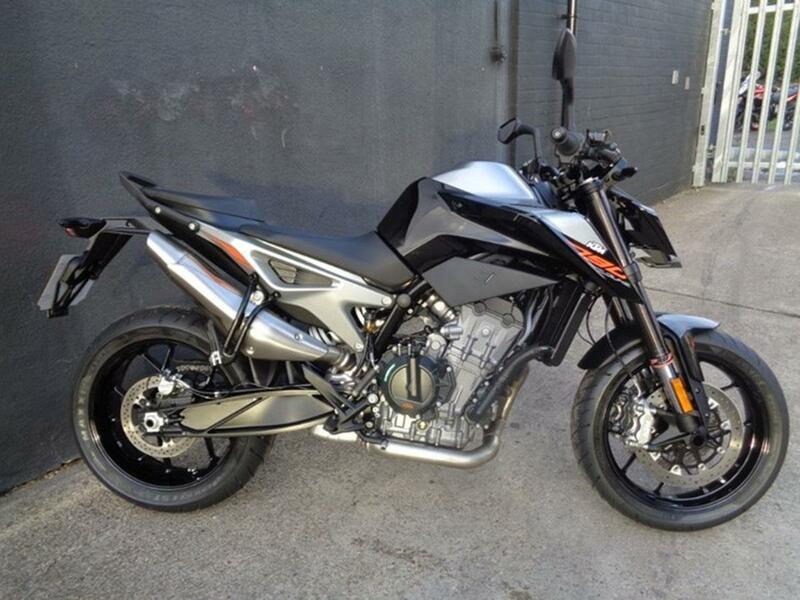 The 125 Duke feels keen and racy and the 78mph top speed (everything tucked in, downhill with a back wind) will feel like warp speed to those stepping up from a moped. Compared to other bikes in its class, the Duke is very well equipped. The orange, back-lit dash, complete with ‘READY TO RACE’ welcome message, can display a range of stats and figures (and look great). You get LED lights all-round and the brakes and suspension work well, too. Things only get better with the 2017 version which had a host of upgrades including a full-colour TFT dash. Once you’ve earned your wings with the 125 Duke, it’s time to step up to the next level. At 44bhp (A2 licence holders will need a restrictor), the KTM 390 Duke has enough poke to stay ahead of the traffic, and the low, slender seat is ideal for less confident or smaller riders. The WP suspension is more than capable of handling the 390’s 139kg weight and so the typical Duke fun-factor can be found in abundance. As with the 125, the 2017 version got even better with an overhaul including a new full-colour TFT dash, new suspension and a smoother engine with ride-by-wire throttle. 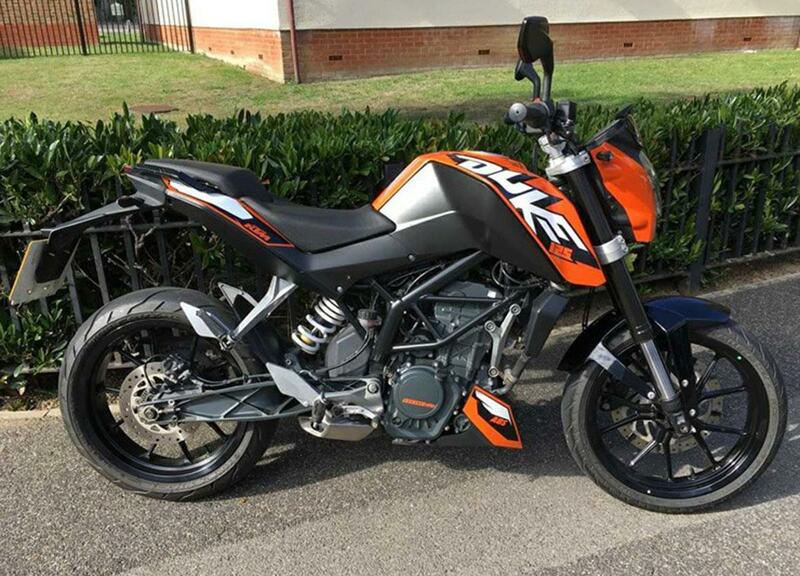 The KTM 690 Duke can trace its lineage back to the Duke I of the mid 90s. That original Duke took the hooligan spirit of a supermoto and gave it enough refinement to work properly on the road. In 2012, the Duke picked up ABS and switchable riding modes to make it more rideable, but engine capacity was also up to 690cc for the first time meaning 67bhp and around 50ftlb of torque. There’s not much that will beat a KTM 690 Duke down a tight and twisty country road, and in the rights hands, it will leave plenty of sportsbikes behind on track. A slightly lighter and angrier version of the standard 690 Duke, the R version got a slight boost in power, uprated suspension and a Brembo M50 front caliper. The trick WP suspension raises the seat height to 865mm, giving you a great view over the traffic when filtering. Just be careful of those wide bars. For purists of the thumping single, KTM’s decision to use a parallel twin in their latest Duke will have raised eyebrows. But the 790 retains the raucous soul of its predecessors in a machine that’s more capable than ever. 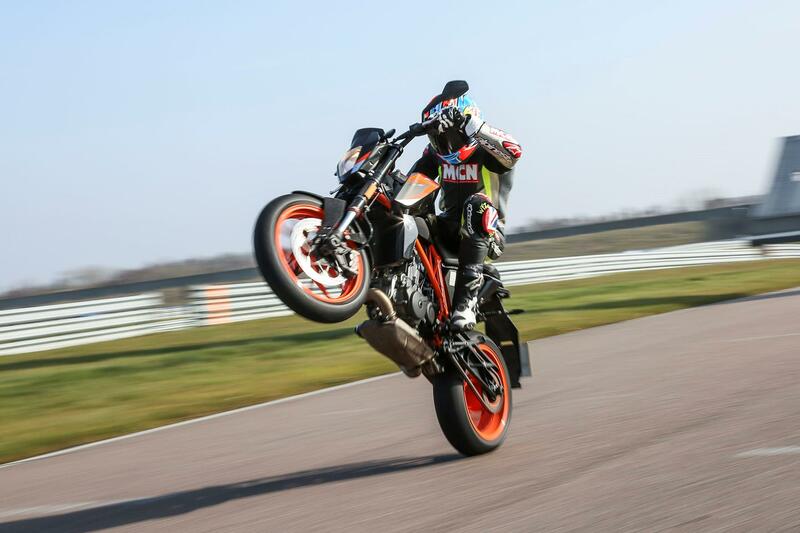 The KTM 790 Duke is more Jekyll and Hyde than ever, with the ability to tear up a small track like Brands Hatch or Cadwell Park all day before pootling home without sore wrists in the evening. The extra cylinder and superbike-level electronics make it extremely pliable when you just want to get to work or you get caught in bad weather.